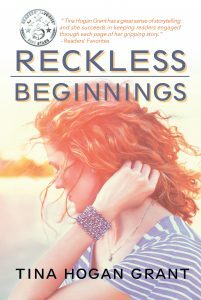 Where Can you Buy Reckless Beginnings? Reckless Beginnings is available at many fine retailers. Choose your favorite store and order below. “What a story to be told. Moments that are gut-wrenching, some that are comical, some moments where you just want to scream why are you doing that…. but in the end a very good page turner. The main character of the book is very well written and I felt so connected to her life, her choices and her pain and happiness” – Dana D.
After a forbidden secret love affair and a catastrophic dispute with her father, Tammy eventually meets Steven, settles down and has his child, only to discover he is a heroin addict. Thrown into a life of drugs and violence, Tammy lives in fear of what Steven might be capable of and struggles alone to provide for her young son. Reckless Beginnings is a story of fiction based on true events. Reaching out to the spouses and families of addicts – the silent and forgotten ones. You don’t have to settle, you have choices.